Various shapes will be made using blocks. The blocks will be stacked on top of each other or in different shapes so that the child can make different shapes on his own. BLOES PLAY GAMES 1. step: Take two of the same color from the blocks, put one in front of the other and the other in front of the child. Start by touching your own block and saying to the child "do it." Encourage the child to touch his or her block. At first you can touch your block. Over time, as you touch your block, you will come into contact with your own block by imitating you in the child. Continue until the child takes his own block in front of him. 2. step: In this step, the child is taught to play with two blocks. Encourage your child to take the second blueprint in front of you and make the same move in your child. Put another block on the block in front of you. Encourage the child to put the other block on the block in front. 3. step: In this step, the child is taught to play with three blocks. Encourage your child to take the third block in front of you and make the same move in your child. Put the other block on the two blocks in front of you. Encourage the child to put the other block on the block in front of you, increase the number of blocks to make it imitate the "tower" that you do after you start imitating the putting movement. 4. step: When you start building children's blocks and building towers without help, you can start to teach more complex games. At this stage, blocks of different sizes can be constructed for various construction works. At every step the child should be encouraged with verbal and physical help, and the rules of "do it like you" and "do it like me" should be given. Once you have learned to imitate what you have done, you should finish it as quickly as you can. In this phase you should teach him not only to imitate your movements but also to "end product". Once the child has succeeded in constructing it with this method, the child can build another shape next to his or her use. So the child can make more than one shape. 5. step: After the child has imitated you and learned the pieces necessary to build various shapes from the blocks, you can ask yourself to raise your blocks from the middle and build your own blocks and shapes from your child. Then you can teach the child the names of these shapes. This activity can be performed by a teacher. 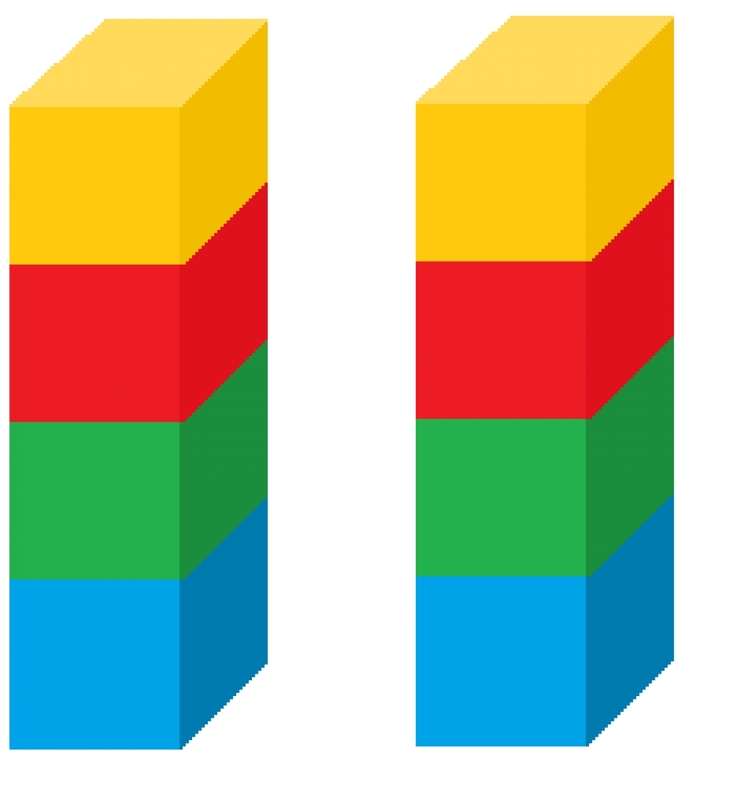 Two blocks of different colors are required to teach this activity to the child. In later stages, smaller and different sizes of blocks are required. While preparing to teach the child to play with the blocks, you should sit facing a wide table where the child can easily reach you and the blocks you can reach. This can take a long time in practice. Be patient.